Fantastic updated Ranch home. Newer kitchen w/SS appliances, gas range, granite countertops & lots of storage. 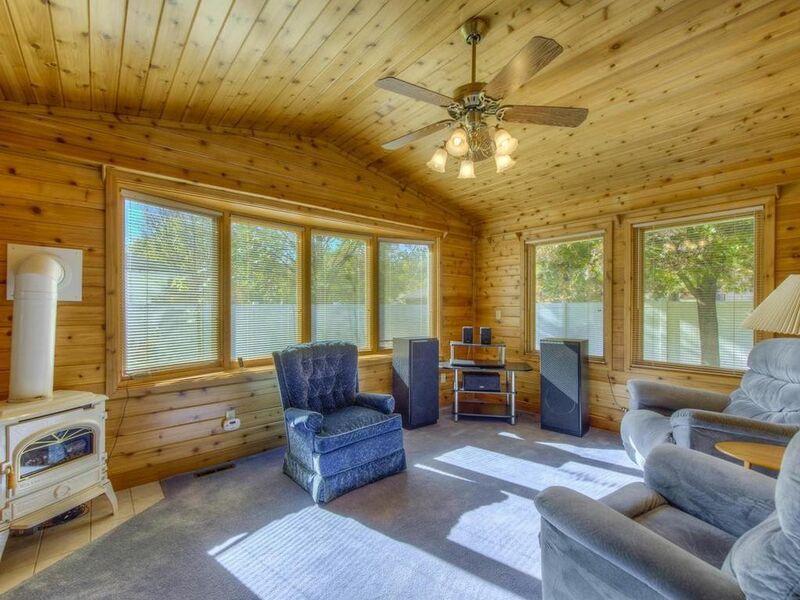 Huge 4 season cedar sunroom off Master bedroom & adjoining that room is another 4-season porch with its own heat & A/C unit! Remodeled upper bath, hardwood floors. Huge lower level family room w/wet bar & 1/2 bath. Maintenance free siding, newer furnace/Central AC, newer windows, lawn sprinkler system, 6' privacy fence, huge oversized 2 car garage. Come have a look at your new home!